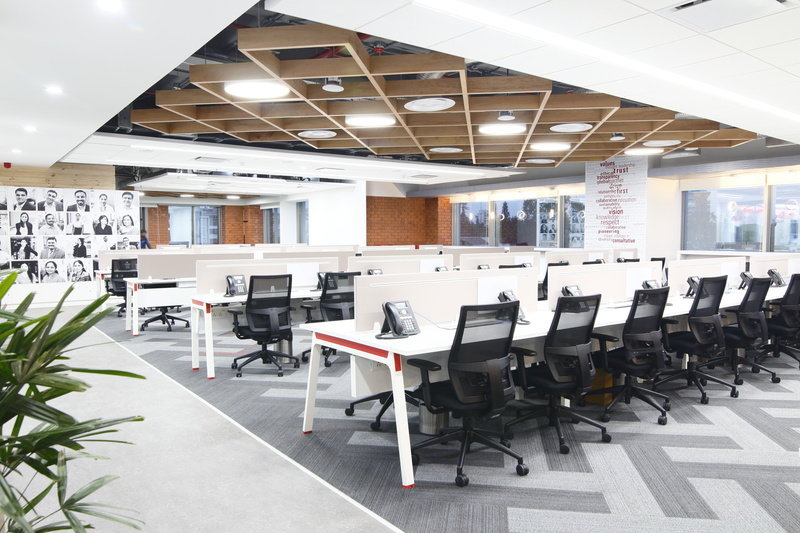 When JLL, approached DT Studio to re-design their Bangalore office, the brief was simple and lucid. 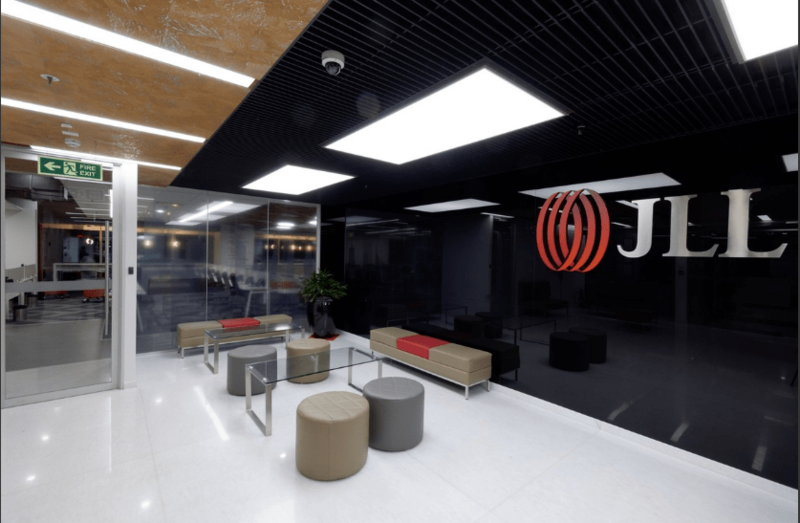 JLL had to accommodate their current increased workforce which had doubled up over the years of growth. The brief however had one clause. 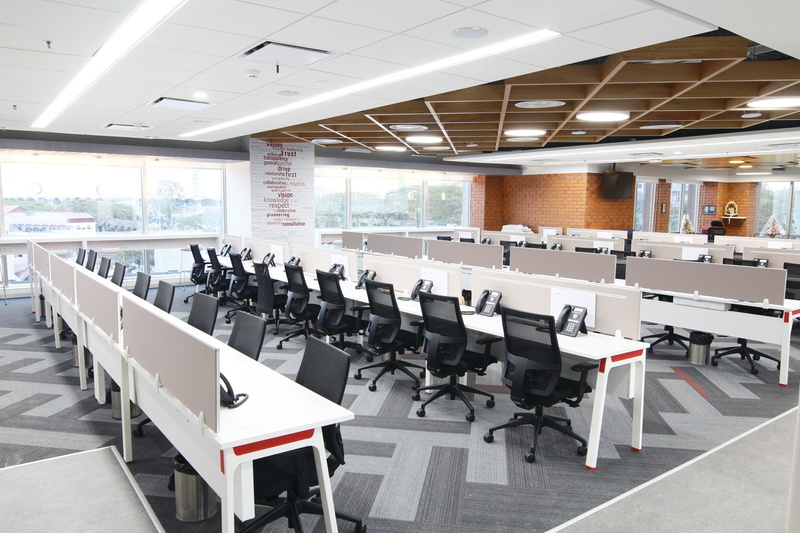 The “to be” designed office space shall be constructed, whilst the existing office continues to operate from the same place in real time. The design hence was carefully and pragmatically planned to adhere and respond to the site/client restriction to execute in phases. 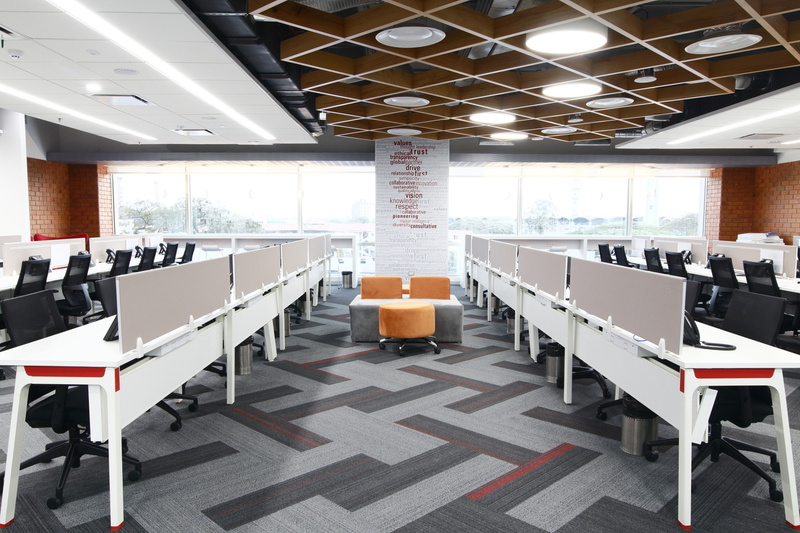 The spatial layout majorly has a central core with all the closed spaces with the workstations enveloping the core in an L shaped profile, with the reading lounge and leadership area in the point of conjunction of the arms being an open office, the hierarchy is reflected in design elements. 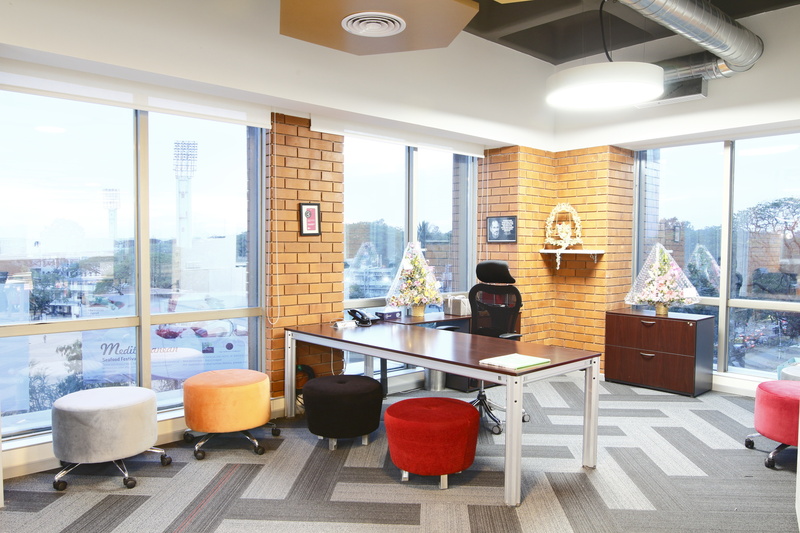 The ceiling and flooring changes rhythmically in the open office to demarcate the different spaces and hierarchy. A larger reception was accommodated to handle the frequent visitor inflow. The cafeteria is looked as the spill-over space for informal meetings from the reception. 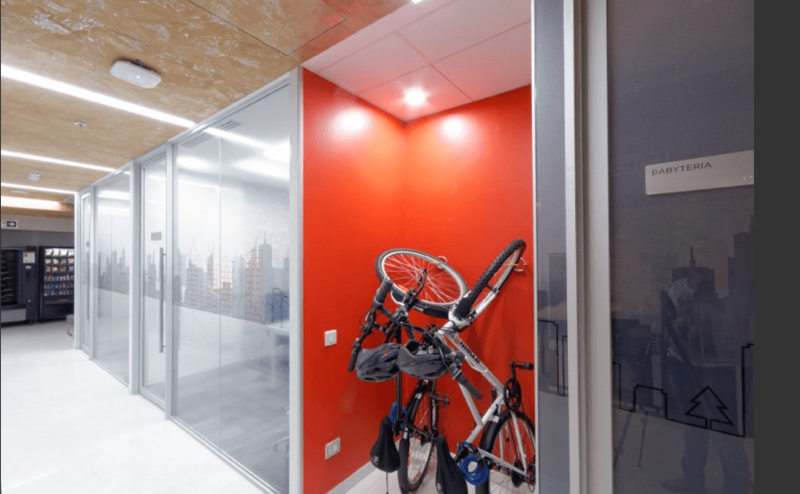 A variety of spaces were identified and proposed tastefully for the diverse, non-hierarchical and fluid work environment. Open discussion pods, collaboration in the middle of workstation small discussion desk alongside the senior management workstations for a quick tete e tete. The overall theme of Bangalore is taken to drive the design, taking in elements from the city as points of inspirations and reflection interpreted in a contemporary outlook.